Squee! 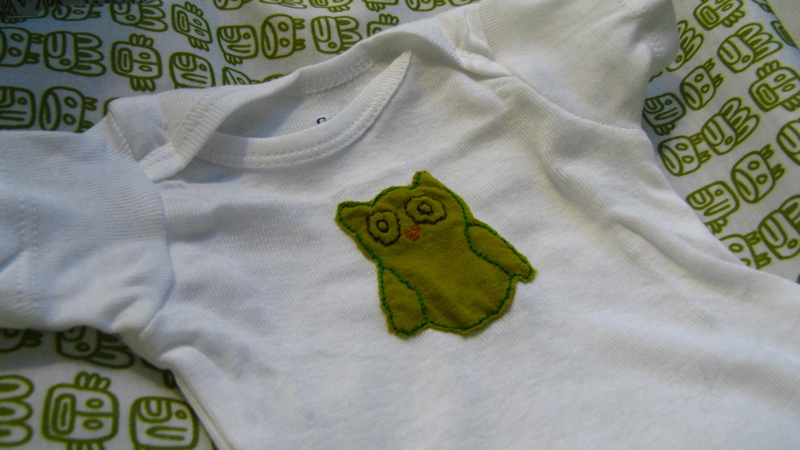 Just finished making this little owl applique for a newborn onesie. 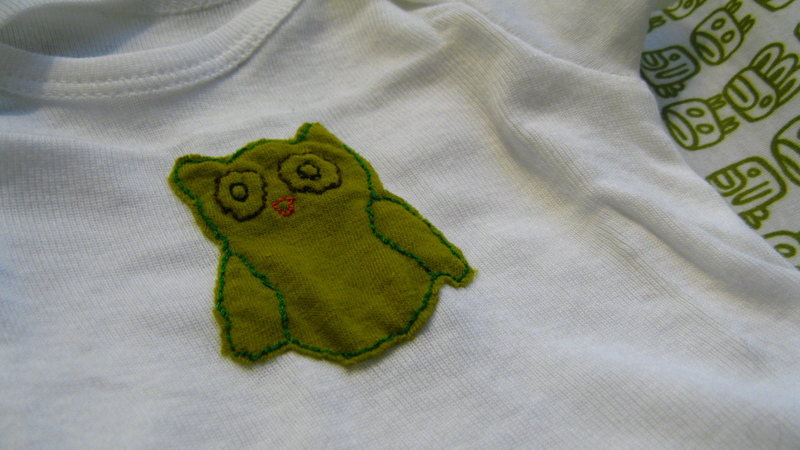 I had an old green t-shirt that was destined to become a rag, so I used a piece of that fabric for the owl’s body. I used standard thread for the embroidery. It’s not perfect, but then again, baby will only wear this for the blink of an eye before she outgrows it. oh this is very very cute. i love owls, and i love onesies. i actually cried when i put away the baby clothes of the first few weeks because my little one had outgrown them. 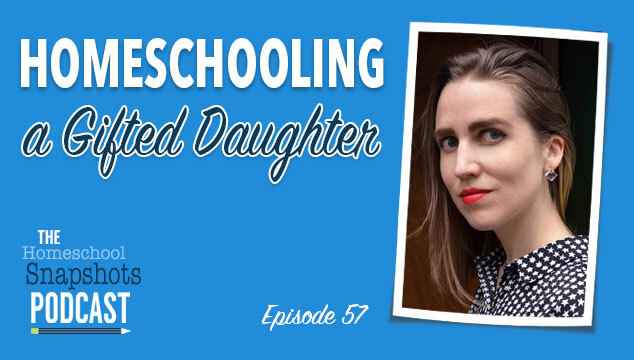 such bittersweet moments… but isn’t it fun to go through all the clothes and arranging and re-arranging the wardrobe imagining them being worn by the baby? savor these moments. have a lovely week!